A brighter morning for Gus, and for us. When they say megaesophagus is an up and down disease, they weren’t kidding. Yesterday was a low, today looks to be a high. We changed the daily feeding program dramatically. Gus eats four times a day now, and smaller amounts each time. He already seems to have gained some weight, there have no regurgitations or other episodes, he is active, full of himself and he is all over Fate and even Red, to play. The hi-protein concentrate is helping him, I think, it is very soft and may be helping all of his food to go down more easily. We had a very rocky start to Thursday, but the last 24 hours are looking good, we are buoyed. I just walked with Robin Gibbons, Gus’s breeder, and I reassured her again that this is not a breeding issue, Gus’s mother and father don’t have it, neither do his siblings. She loves her dogs dearly and is very upset about Gus, but I told her it has nothing to do with her breeding, the experts all say the same thing: this disease occurs randomly, there is no pattern, rhyme or reason to it. I told Robin Gus is an amazing dog, I would get another dog from her in a heartbeat, and our vet, who knows all of the dogs involved, couldn’t agree more. So we are feeling good and hopeful today. This will be a long slog, and we are not going to ride up and down on each wave. Today is, so far, a very good day. So happy to hear that Gus is having a good day. Life with animals is very fulfilling even with the ups and downs, to me there is definitely more goodness to having animals. The sad parts just come with the territory. Thanks Anitra, dogs are one of the joys of my life, worth every bit of sadness and trouble..thanks for the message..
Nice to hear that Gus is doing better. I have watched this saga and have a comment — which I expect you will try to characterize as unwanted advice — but be that as it may— you have backed yourself into a corner over that silly chair and now you would find it impossible to get one even if it might help for fear of appearing weak. I have no advice on whether you should or should not get the chair — but I would suspect that anything that might help should be given a try. It would free you and Maria from having to spend time holding Gus in an upright position. You share a trait with my sister — any advice is seen not as a suggestion or advice but somehow an attack on you and you respond like a wounded bear. Both unwanted and foolish advice Lorlee, you are wasting both of our times, I take advice from our vet and the consulting internists I have spoken with, not from you or other strangers on FB, and I’m not really interested in your sister. I believe you were here snarling the other day because we couldn’t buy winter clothes for all of the refugees in the Northeast (unless you want to write me a big check). Go away plse. For the record, we have two wooden benches coming that are just the same as Bailey chairs, and come much sooner, and not only do I not want your advice, it is really none of your business. Condolences to your sister, poor thing. I am glad I don’t have to listen to you. Lorlee, please stop wasting both of our time. This is not only unwanted advice, but foolish advice. We have ordered two recommended custom benches they fulfill the same purpose as Bailey Chairs, are cheaper and can be made much faster. They were actually recommended by one of the Bailey Chair makers. The chairs have no effect on sitting with the dog, you are misinformed. As I have said many times before, I take advice from trained and qualified experts, like our vet and several veterinary internists who work with ME dogs, not from you, your sister (condolences to her, at least I don’t have to listen to you) or other strangers on the Internet and chronic busybodies. You popped off the other day, I recall, because I can’t afford to buy winter jackets to all of the refugees in the Northeast (unless you want to write a big check). I don’t want or need your advice, you are quite right about that. And here’s a radical idea: maybe it’s true. Maybe if you know your advice is unwanted, you might actually not give it. I wish I was a wounded bear, maybe you might consider minding your own business, and go away. You are absolutely right, you don’t have to take advice from me or even listen to me. If you reread my post, you will note that I didn’t give you advice one way or another about the chair. In fact, gave you no advice at all, just made an observation/comment from watching your response to your readers. You are entitled to ignore all the advice you get from your readers, but it has saddened me to see you demonize them when they have no bad intentions and so often no way to respond to your screeds. For someone who counts on and courts the public as his means of support, it is always best to tread lightly. Ignore what you consider advice and simply go on. It makes me uncomfortable when you lecture and pound on people– when what I come to the blog for is to hear about the Army of Good, the animals, Maria, the Mansion, the Bog. Dear Lorlee, you are sad and uncomfortable, a good reason to go elsewhere and stop punishing yourself. 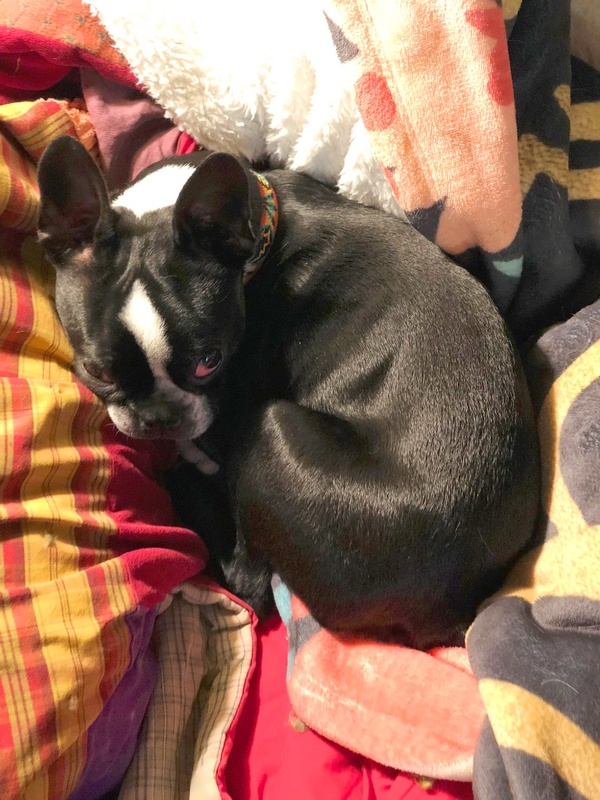 Come to the blog for what is good for you, and leave it for what is not, I will continue to write what I wish and when I wish and care for my dogs in the best way I know how. Sorry this is not good enough for you, but I hope you one day understand that I do not live for your approval, or your advice. I hope you can discharge this curious conceit. This does not make either of us bad people, we just see the world in different ways. Let’s move on to something more productive, yes? We just seem to be making noise and going in circls. I write plenty about Maria, the Army of Good, the animals, the Mansion. If that isn’t good enough for you, I can only say I’m sorry, I work hard at it and am proud of it. Do you think that the acupuncture helped him? Yes, definitely, I continue to be impressed and surprised by the impact acupunture has had on Red, and now Gus. We saw it quite dramatically this week.. So. Leroy is an Americanized of le roi (maybe?) I am thinking of Gus as Agustus (Ceasar). Silly, I know. But meant to be a little endearment. I am glad Gus feels better today, just a question do you make his food into a gruel mix so it slides down easier? Joan, no, I don’t use a puree or gruel mix, we just mix in Royal Canin recovery food, which is very soft and wet. I shape it into tiny meatballs and feed it to him one at a time while he stands up on his hind legs to receive it. This duplicates the experience of the Bailey Chair. I add a few drops of virgin olive oil – not much – and I think it does lubricate the food going down. Hope this helps. Glad to hear that today is an up day for Gus, Maria and you. I watch with great appreciation the love you both have for all your animals. My only experience with ME is watching a precious kitten almost die from it – but then, after months of the same kind of interventions as you are doing with Gus, grow out of the disease. She is now a happy, healthy 5-yr old cat. Its my most sincere prayer that Gus outgrows it too.